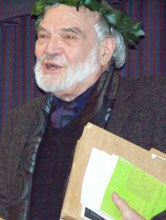 Kenneth Irby was born in Bowie, Texas, in 1936 and has won many awards for his poetry. Irby grew up in Fort Scott, Kansas, and began writing poetry at the early age of 13. Irby has degrees from Harvard University, University of California-Berkeley and the University of Kansas. He also was awarded a Fulbright travel grant as a visiting professor at the University of Copenhagen. He currently teaches in the Department of English at the University of Kansas and lives in Lawrence, Kansas. He has lived, worked, served in the U.S. Army, and taught in Colorado, Copenhagen, Massachusetts, Nevada, New Mexico, New York, Northern California, and the North Pacific. 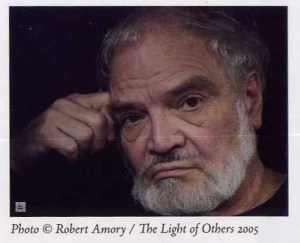 In 1958, while Irby attended Harvard University, he heard poets such as Kenneth Rexroth, Allen Ginsberg and Charles Olson read at a local bookstore, and he began to read Olson’s poetry. Later, while serving in the Army in Albuquerque, New Mexico, he met Edward Dorn and, through him, Robert Creeley, poets who would be influential to his own writing. His first publication was a broadside, "The Oregon Trail," in 1964, followed by "The Roadrunner Poem" the same year. The following year Duende Press in New Mexico issues his Movements/Sequences, with an afterword by Creeley. Visiting Professor and Fulbright travel grant, Univ. of Copenhagen.